We depend on you, our members and supporters, to suggest potential candidates to join our Board of Directors. Our board members help MACC succeed. Board members are expected to donate their time and expertise and assist MACC financially. We ask candidates to consider carefully if they can make the time commitment necessary for board participation: five board meetings, five committee meetings, and time outside those meetings. Interested and recommended candidates should submit a letter of interest and a resume so MACC's Nominating Committee can evaluate the potential nominee's qualifications. Send suggestions for board candidates by email to staff@maccweb.org with the subject line Board nomination, or by mail to Nominating Committee, 10 Juniper Rd., Belmont, MA 02478. Please do so by September 30 for the candidate to be considered for nomination at MACC's Annual Meeting in February/March. For questions please call our office at 617-489-3930 or email us at staff@maccweb.org. Dorothy (Dot) McGlincy is delighted to be the Executive Director of MACC, where she is responsible for leading MACC to achieve its mission and meet its financial goals. Dot has a strong background serving in non-profit associations over the past 20 years and has a life-long love of the environment. She has been a professional environmental scientist since graduating with a degree in geology. She is a New Hampshire Professional Geologist (PG) and is a Massachusetts Licensed Site Professional (LSP). Dot is a former President of the LSP Association (LSPA) and has served in leadership roles with the LSPA since 1993. She has served two terms on the Board of Directors, been Chair of the Program, Member Services, Regulations, and Legislative Committees, and has assisted with fundraisers for the LSPA Student Scholarship program.. Dot has also served on the Board of Directors and chaired several committees for A Better Chance of Andover, a non-profit group that provides educational opportunities to students of color. Before joining MACC in August 2017, Dot worked as an environmental compliance manager in industry, as an environmental consultant assessing and cleaning up contaminated sites for clients throughout the United States, and as a project geologist with the Maryland Department of Environmental Resources, Water Resources Section. When not working for MACC, Dot can often be found walking in the woods or on a beach, helping tend a friend's vineyard, or visiting new art museums. Michèle Girard is MACC's Associate Director and Education Coordinator and has been with the organization for over 10 years. At MACC she supports the Executive Director with the Board's general business and special projects, helps develop training programs and workshops, and organizes educational programs and conferences. Prior to joining the MACC staff, Michèle served as a conservation commissioner in her town and worked as the Assistant Conservation Administrator for the Town of Boxford. She also served a three-year term as a MACC Director. Michèle volunteers as an overseer for the New England Wild Flower Society and organizes programs for her local land trust. In her spare time she enjoys "botanizing" in fields and forests, hiking, and gardening. Lindsay enjoys cooking, hiking and most especially playing the drums. She plays at a blues jam every week and has been seen sitting in for the drummer in a couple of bands. Candace Domos, MACC's Finance and Operations Manager, has a BS in Business Administration from Roger Williams University, and a Masters of Business Administration (MBA) in Finance and Investment Analysis from Suffolk University. Candace has worked as a financial analyst for commercial businesses and real estate firms for many years prior to joining MACC. MACC is lucky to have had Candace helping with our financial services over the past 12 years. When not working at MACC, Candace can be seen wandering Cape Cod and Florida beaches helping stranded turtles and getting a great tan. Joey Wigglesworth is MACC's Special Projects Coordinator. In his role he wears many important hats for MACC. He is responsible for our integrated website and membership database platform, works as an assistant to our Education Director on advancing our educational initiatives and mission, handles all exhibit logistics for MACC's Annual Environmental Conference and Fall Conferences, maintains logistics surrounding all publications, as well as maintains our social media outlets. Joey also works on many other projects that help to build and advance MACC's brand and mission. You may also see him facilitating many of our educational events and seminars in the field. Joey has a BA in Environmental Geography, with a concentration in Environmental Studies from Framingham State University and an MS in Environmental Studies, with a concentration in sustainable development, climate change, and environmental education from Antioch University New England in Keene, NH. While at Antioch, he also completed all necessary requirements to earn the competitive, and highly specialized, Professional Science Masters (PSM) designation with this degree. Joey serves as Vice Chairman of his Conservation Commission and in his free time enjoys traveling, exploring the outdoors from coastal salt marshes to riparian corridors in inland forests, and spending time with his friends and family. Mr. Howard is a Principal at Epsilon Associates, Inc. (an environmental consulting and engineering firm) with extensive experience in environmental permitting and regulatory analysis. He is registered as a Professional Wetland Scientist by the Society of Wetland Scientists and is a licensed Certified Wetland Scientist in the State of New Hampshire. He is the former President of the Association of Massachusetts Wetland Scientists. He is a frequent instructor of MACC's "BVW Delineation for Beginners" workshop and units in MACC's Fundamentals for Conservation Commissioners certificate training program. Mr. Howard has served as Vice Chairman of the Princeton Conservation Commission and was the Conservation Agent in the Town of North Andover. He is a graduate of the University of Massachusetts at Amherst. Rebekah is an attorney with Miyares and Harrington LLP in Wellesley. She represents public and private sector clients on a wide range of local, state and federal environmental and land use law issues, including wetlands permitting, appeals, and enforcement. She is a graduate of Harvard Law School. Before law school, Rebekah worked as an environmental scientist, experience she draws on when legal and technical issues intersect. Pamela D. Harvey is an environmental lawyer and served in several positions at the Massachusetts Department of Environmental Protection (MassDEP) from 1991 to 2015. She drafted the regulations to implement the Rivers Protection Act in 1996 -1997 while serving as the Director of the Wetlands and Waterways Program. From 2007 to 2015, after several years advising MassDEP Commissioners on final decisions, Pam was designated a presiding officer to conduct adjudicatory hearings, many involving wetlands protection. Pam was appointed as a full member of the Brookline Conservation Commission in 2016, after serving as an associate member for three terms. She joined the MACC Board of Directors in March 2016. In addition to her work with MACC, Pam continues to chair programs and lecture on environmental law, and engages in various pro bono environmental activities. Matt Schweisberg is the principal of Wetland Strategies and Solutions, LLC, where he provides assistance to clients seeking to navigate a wide range of regulatory and non-regulatory issues related to wetlands and other aquatic resources. Matt is a Professional Wetland Scientist under the Professional Certification Program of the Society of Wetland Scientists. He is a retired federal wetlands ecologist and wildlife biologist who spent over 32 years with the U. S. Environmental Protection Agency. He has served several times as an expert witness in federal, state, and private litigation. He co-instructs a one-week intensive course on wetland identification and delineation at the Eagle Hill Institute in Maine, and has taught courses in wetland regulation, restoration and creation, wetland ecology, and wetland identification and delineation for federal and state agencies, academic organizations, and environmental consultants. Matt is well versed in all aspects of alternative dispute resolution. He received his degree in Wildlife Management from the University of Maine. Ms. Curtis is a Senior Associate and Manager of Ecological & GIS Services in BSC's Worcester, Massachusetts office. Her background is in Wildlife Conservation, Wetland Conservation, and Field Botany. She is a Certified Erosion Sediment and Stormwater Inspector (CESSWI). Her primary job responsibilities include assisting clients with complex environmental permitting issues on the federal, state, and local levels, with a focus on linear permitting. She is especially knowledgeable of the wetland and protected species regulatory review process in Massachusetts, Rhode Island, and New Hampshire and has provided permitting and technical support to projects in Connecticut. Field assignments in which she plays a major role include rare wildlife and botanical surveys for protected species, wetland delineations and evaluation, vegetation community mapping, vernal pool characterization, wildlife habitat assessments, and invasive species control and monitoring plans. Other responsibilities include managing the environmental compliance portion of large linear construction projects, specifically overhead and underground transmission lines, and the development of Construction and Industrial Storm Water Pollution Prevention Plans. She has served on her local Conservation Commission and Stormwater Committee. Janice has been serving as staff for the Hadley Conservation Commission since 2004. A certified Professional Wetland Scientist, she has over 30 years of experience mapping wetlands for state & federal agencies, and other environmental groups. Her M.S. thesis in Wildlife Biology from the University of Massachusetts Amherst was on identification and certification of vernal pools. Janice lives in Shutesbury where she served 5 years on the conservation commission (3 years as the Chair), and more than 15 years on the Shutesbury Open Space Committee. In addition to serving as MACC Treasurer, Janice has served on the MACC Board of Directors since 2011..
Amy Ball is a Senior Ecologist and Project Manager with the Horsley Witten Group, based out of Sandwich, Massachusetts, where she also resides. Amy has nearly 23 years of professional experience as an environmental consultant with expertise in wetland botany and ecology, wetland restoration and mitigation, rare species and wildlife habitat assessments, wetland assessment and monitoring, invasive species management, environmental policy evaluation, and environmental permitting. She also frequently serves as a peer review consultant for conservation commissions. She is registered as a Professional Wetland Scientist by the Society of Wetland Scientists and is a licensed Certified Wetland Scientist in the State of New Hampshire. Amy joined the MACC Board in 2006, and has served as MACC's Vice President for Education for two three-year terms. She has presented several workshops on botany at MACC's Annual Environmental Conference. 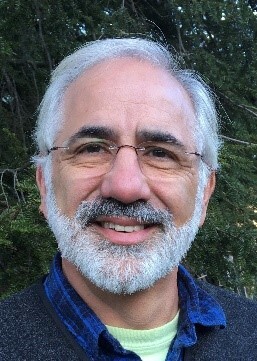 Marc Bergeron is an Associate and member of the Ecological Sciences Group at Epsilon Associates, Inc. (an environmental consulting and engineering firm). He has 24 years of professional experience in providing environmental consulting services; specializing in wetland delineation, assessment, mitigation, ecological inventories, wildlife habitat assessment, vernal pool ecology, and permitting. Mr. Bergeron is a certified Professional Wetland Scientist by the Society of Wetland Scientists and a Certified Wetland Scientist in the State of New Hampshire. Mr. Bergeron was a member of the Town of Blackstone Conservation Commission from 2005-2008 and served as Chair for a one-year period during that tenure. Sandra Brock is the Chief Engineer at Nitsch Engineering, a certified WMBE, where she specializes in stormwater management and sustainable site design. She has over 30 years of experience in civil engineering, is a licensed Professional Engineer, LEED accredited Professional, Title V System Inspector, Certified Floodplain Manager, and Certified Soil Evaluator. In addition to her work for private developers and institutions, Sandy has provided expert witness testimony for civil engineering cases and peer reviews of proposed projects for numerous boards and commissions throughout Massachusetts. Sandy graduated from the University of Massachusetts, Lowell, with a B.S. in Civil Engineering and spent two years designing and constructing rural water supplies in Malawi, Africa, for the Peace Corps. She is the Chair of the Grafton Conservation Commission and has presented workshops on stormwater management at Annual Environmental Conference and elsewhere. Kate Connolly is a Principal with Louison, Costello, Condon and Pfaff where she practices general municipal law and litigation focusing on land use, zoning and conservation. She is town counsel and special counsel to multiple municipalities and represents private clients as well. Kate served on the DCR Forestry Task Force and was an author of the revised EOEEA Model Conservation Restriction. She is a frequent speaker on topics of conservation and environmental law, frequently publishes articles in the MACC Conservation Quarterly, and is recent past MACC President. Jennifer Hughes has an extensive wetlands and conservation background. She has been the Conservation Administrator in North Andover since 2008, and has served on the Ipswich Conservation Commission since 1998. Jennifer has been the Chair since 2012. Jennifer has assisted both Ipswich and North Andover on open space acquisition projects and in updating their wetlands bylaws. She participates in activities to improve her profession and the resources available to conservation commissions. Jennifer worked as a project scientist for Environmental Resources Management in 2005 and 2006, and as a wetland scientist with Rimmer Environmental Consulting from 2006 to 2008. She has experience in wetland delineations, stormwater management, environmental permitting, ecological and wetlands restoration, endangered species permitting, and habitat assessment. She is a member of the Association of Massachusetts Wetland Scientists, a board member on the Massachusetts Society of Municipal Conservation Professionals, and a member of MACC. In 2017, Jennifer received an award from MACC for her long and ongoing service and dedication to the environment, conservation, open space, participation in the civic life of two communities, and for her many successes working on and with her conservation commissions. Jennifer currently lives in Ipswich, Massachusetts. Greg is an environmental consultant at Williams & Sparages LLC. He has over 20 years of experience in wetland ecology, wetland replication, wildlife biology, soil evaluation and environmental regulatory analysis. He has done peer reviews for conservation commissions and has extensive experience in wetland delineation and functional assessments utilizing both federal and state methodologies. Greg is a registered sanitarian and certified soil evaluator in the State of Massachusetts, a registered professional wetland scientist and a certified wetland scientist and licensed sanitary disposal system designer in the State of New Hampshire. He is on the Town of Merrimac Conservation Commission and is a graduate of Westfield State University with a bachelor's of science in biology, with a minor in chemistry and regional planning. Scott Jackson is Extension Associate Professor in the Department of Environmental Conservation at the University of Massachusetts Amherst. He teaches courses and workshops on wildlife conservation and wetlands ecology, assessment and conservation. Significant integrated research/extension projects include the Conservation Assessment and Prioritization System (CAPS), North Atlantic Aquatic Connectivity Collaborative (NAACC), Massachusetts Wildlife Climate Action Tool, and the Massachusetts Wetlands Assessment and Monitoring Program. Scott is chair of the Whately Conservation Commission and is chair of the Kestrel Land Trust Board of Trustees. Greg is an environmental attorney whose Boston law firm, McGregor & Legere, PC, handles environmental law, land use, real estate, and litigation. His court cases, including several for MACC as amicus, have created precedents on municipal Home Rule powers, wetland and floodplain protection, land preservation and taxation, law enforcement, MEPA and EIRs, Article 97 and other open space protections, and the law of Regulatory Takings. Before 1975, Greg was an Assistant Attorney General and first chief of the MA Attorney General's Division of Environmental Protection. For 18 years he was a member or chair of the Wellesley NRC and has been president of MACC twice. He graduated from Dartmouth College and Harvard Law School. Paul is the founder and President of EcoTec, Inc. in Worcester, where he provides wetland, wildlife, and erosion control consulting services to public and private clients, including conservation commissions. He also conducts ecological risk evaluations at sites where contamination has impacted wetlands. Paul is a graduate of the College of the Holy Cross, received a Master of Science in ecology from U.Mass Boston, and serves on the boards of the New England Chapter of the Society of Wetland Scientists and his local land trust. He lives in Holden and in his free time can be found with his family outdoors there and in the White Mountains. Nick Nelson is a fluvial geomorphologist and regional director for Inter-Fluve, a river and wetland restoration firm. Nick has conducted geomorphic assessments on over 250 river miles and has been involved in dozens of river restoration and dam removal projects throughout Massachusetts and the country. Nick has taught at the University of MN, at Northeastern University, at the Harvard University Graduate School of Design, and is a technical advisor for the MA Fluvial Geomorphology Erosion Hazard Task Force. Nick has a BA in geology from Williams College and an MS in fluvial geomorphology from Utah State University. Cynthia is currently the manager of the Stormwater Division of the Town of Braintree Department of Public Works. She is also the former Conservation Agent for the towns of Dedham and Canton. In that role, she administered the Massachusetts Wetland Protection Act as well as local by-laws related to wetland protection, soil erosion and sediment control and stormwater management. Cynthia is a Registered Landscape Architect and has over twenty-five years of private sector experience designing and permitting private development projects. She also serves on the Board of Directors of the Massachusetts Society of Municipal Conservation Professionals. Cynthia graduated with a B.A. in Fine Arts from Dickinson College and a Masters of Landscape Architecture from the University of Massachusetts. Heidi is a Senior Policy Analyst at Mass Audubon, with decades of experience in environmental policy and land use management. She directs the Shaping the Future of Your Community program, which assists communities with sustainable development and targeted conservation to support resiliency for people and nature. She is an Associate Member and past chair of the Shirley Conservation Commission, chairs the Devens Open Space and Recreation Advisory Committee and is a member of the Shirley Open Space and Recreation Advisory Committee and Nashua River Wild and Scenic Study Committee. Ms. Ricci also serves on the Board of Directors of MassRivers, is an Advisor to the Citizen Planner Training Collaborative, and is a member of the Society of Wetland Scientists (SWS) and the Association of Massachusetts Wetland Scientists (AMWS). Jennifer Steel is a graduate of Wesleyan University and Duke University. She has worked as a teacher, on large regional marine research programs, in environmental advocacy, and as a consultant. Jennifer has been a Conservation Agent for the towns of Maynard, Framingham, and Uxbridge. She is currently the Senior Environmental Planner for the City of Newton. Margaret "Peg" R. Stolfa is an environmental attorney at Gordon & Rees, representing clients in compliance and strategic permitting, enforcement defense and administrative and civil litigation. Her practice includes wetlands compliance, land use litigation, environmental due diligence, as well as brownfields redevelopment and sustainability considerations in the context of complex real estate transactions and related litigation support. Lana Spillman has degrees in biological sciences and a PhD in Medical Genetics. She was a research biologist at Eli Lilly & Co. early in her career, worked at the National Institutes of Health, has been a substitute teacher, and was the Conservation Administrator for the Town of Topsfield for 16 years. Lana has an extensive volunteer resume including work on the Boxford Conservation Commission for 24 years (vice-chair 19 years), has taught MACC’s Fundamentals courses, certified more than 30 vernal pools, and provided outdoor training and educational classes to diverse organizations and schools throughout eastern Massachusetts. She is a member of Association of Massachusetts Wetland Scientists. Lindsay, Candy, Dot, Michele and Joey take a break to check out the Solar Eclipse!